Don’t be fooled by this northeast Washington State byway’s short length—it’s long on natural beauty and fascinating history. Step off the road and the din of modern life becomes muted by ebullient waterfalls and vast forests of pine, larch and fir. Dig for fossils, live on a houseboat for a weekend or enjoy the simple pleasure of walking alone in the forests of the Kettle Mountain Range. 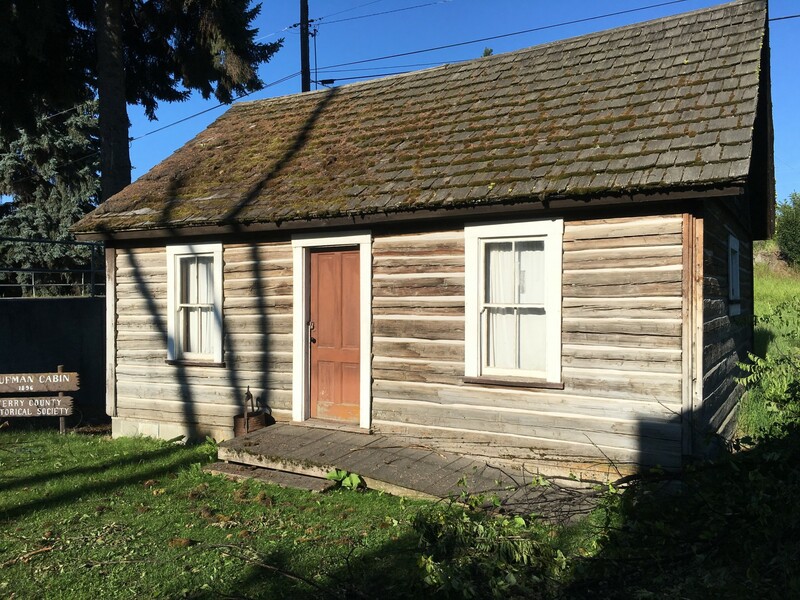 You'll also discover a historic camp built by Roosevelt's CCC (Civilian Conservation Corps) and a log flume once used to float timber down to the foothills for transport to market. The Sherman Pass-Crystal Falls Scenic Byway begins near the town of Republic on SR-20 and runs east across Sherman Pass—Washington’s highest maintained pass at 5,575-feet—through Colville National Forest to the town of Kettle Falls on Lake Roosevelt and continues to Colville, the Pend Oreille Wildlife Refuge and Crystal Falls. This is a historic route used by Native Americans on their way to fish and by wagon trains, the byway is named for Civil War general William T. Sherman, who passed through in 1883. The path was paved in the 1950s and continues to serve as the area’s primary year-round east-west connector. Curlew Lake State Park is a 123-acre camping park. It borders an air field, is eight miles from a public fossil dig and is also near an active osprey nest that can be viewed from the park. 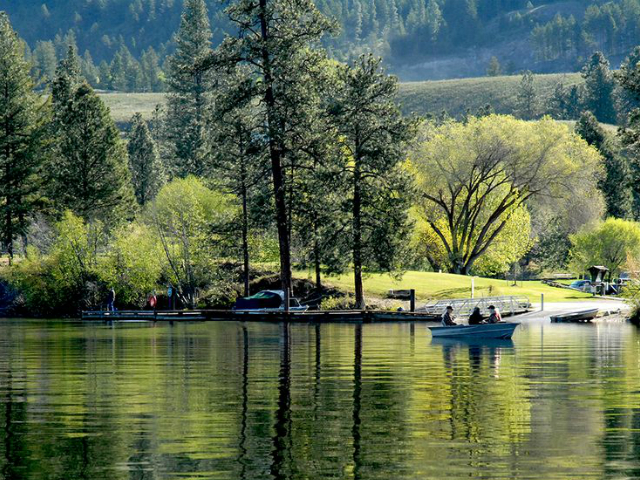 Curlew is one of the most relaxing campgrounds in the state, offering water-and snow-sport activity as well as natural-history and archeological study in the midst of gorgeous surroundings. With its deep blue skies, scenic mountains, and friendly folks, Republic provides travelers with an attractive and convenient starting point to discover Ferry County. At the White Mountain/Sherman Overlook, you can walk along an easy quarter-mile paved trail and read interpretative signs detailing the devastating fires of 1929 and 1988. This is a great rest stop to stretch your legs while getting a little natural history lesson. 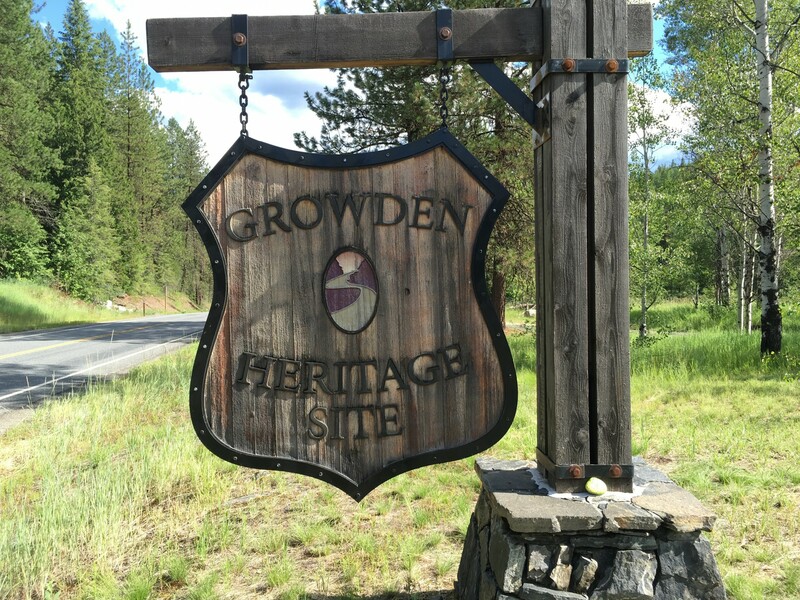 Camp Growden, known as "Little America" because it housed CCC enrollees from around the country, was built on Sherman Pass a few miles west of Kettle Falls. 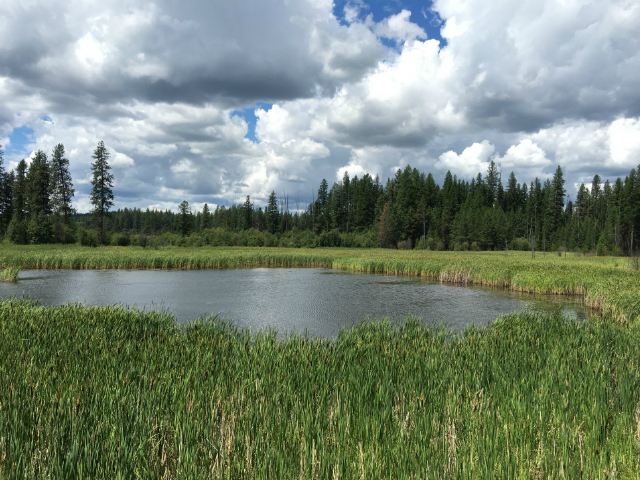 The Civilian Conservation Corps (CCCs) changed the face of the Colville National Forest during the 1930s. CCC workers built roads, trails, camps, and buildings, many of which are still in use today. The Log Flume Heritage Site where remnants of the old log flume still stand and a trail leads down to Sherman Creek. The Sherman Creek Campground sits nearby. 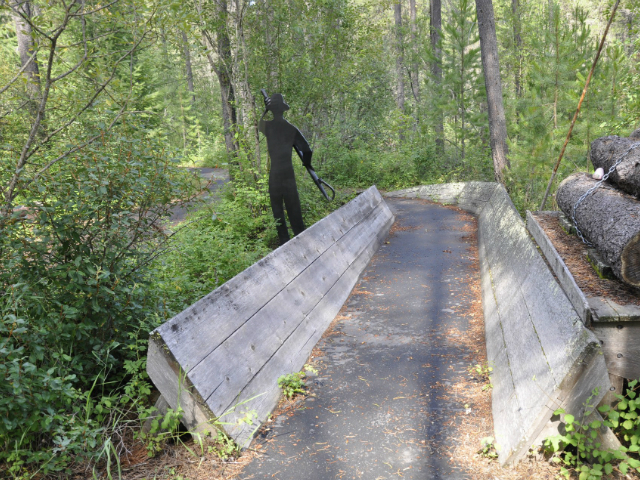 The site provides a snapshot of logging history with several interpretive displays along a minle-long,winding, wheelchair-accessible trails. 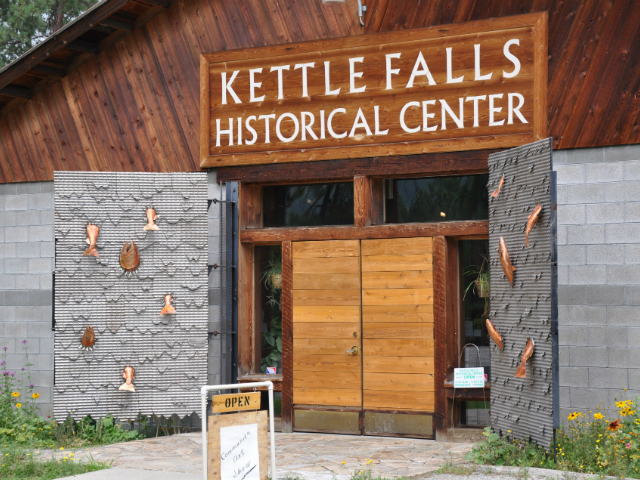 The Kettle Falls Historical Center interprets the Kettle Falls fishery, which has been described as one of the most important historical sites in the Western United States. The center also intreprets other historical sites, including the historic St. Pauls Mission, Fort Colville and the expeditions into this region by legendary trapper and explorer David Thompson. 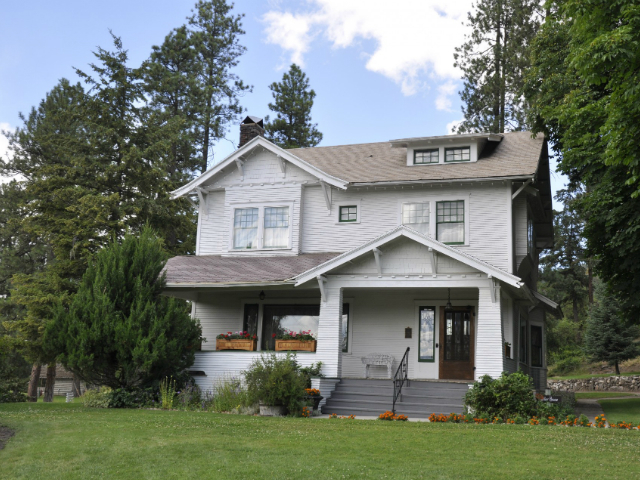 The Keller House is a spacious, modified bungalow-style house and an excellent example of the English Craftsman movement. The house and furnishings cost $12,000, $5,000 for the home plus $7,000 for the furnishings. The house features over a dozen pieces of Gustov Stickley furniture that was purchased for the house when it was new. The Little Pend Oreille National Wildlife Refuge is located in northeast Washington, 13 miles southeast of Colville in Stevens County. Located on the west slope of the Selkirk Mountain Range, it is the only mountainous, mixed-conifer forest refuge in the lower 48 states. It was established in 1939 to provide a refuge and breeding ground for migratory birds and other wildlife. 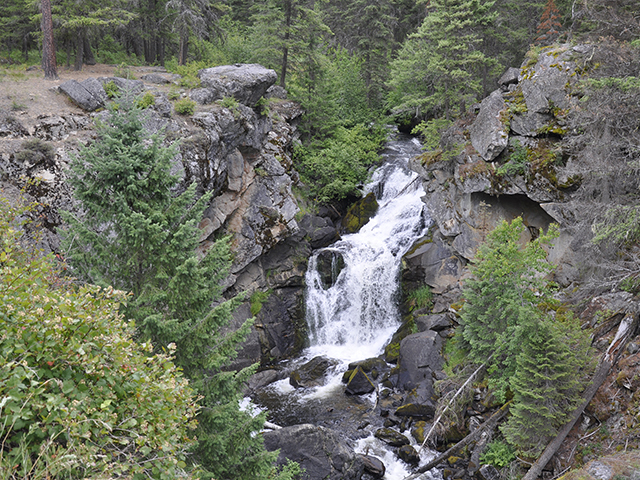 Located about 14 miles east of Colville along SR-20, it is worth your effort to pull over and check out Crystal Falls. The turnout is marked, and there is a nice viewpoint of the 40-foot waterfall.